One step forward — in French! The rain and the cold never hindered the good mood. 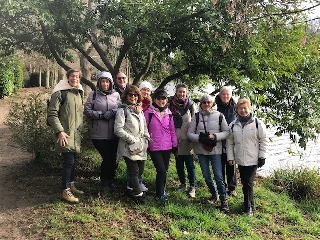 A walking group has been meeting once per month to explore the forests and parks around Paris for several years now. The meet up is an opportunity for people from all over the world to socialise and talk about hiking and traditions from their different cultures. The picnic break is also a fun moment for the international group. Lastly, the day out gives participants the chance to add to their French vocabulary outside of their language lessons. Rain and cold weather never manage to dampen our spirits!